Apple has made it hard for the developers to access Cydia post launching their iOS 11 last year, here we are introducing a new App installer named ‘iOSEmus’, installing it on your iOS device allows you to access your favorite Cydia tweaks, apps and games free of cost. iOSEmus works on both jailbroken and non-jailbroken device, in a single tap you can access your favorite Cydia tweaks, apps and games those are updated on regular basis. The features of iOSEmus make it ideal for everyone which can be the best alternative to Cydia. iOSEmus [ About ] is available for iOS device, here below we are showing you the way to download iOSEmus on your device. Although iOSEmus has got a large number of Cydia tweaked apps and games still it cannot compete to the Cydia but iOSEmus is all set to provide you with apps and games those you used get from Cydia what we are missing these days, as there is no jailbreak tool for the latest iOS 11. iOSEmus can provide you with all the regularly based updated contents, like your favourite screen recorder Airshou to record your device screen, MovieBox which is always ready to play your favorite movies those are in HD and many more emulators like PPSPP, GBA4iOS are also available. iOSEmus is available to download on the device installed with iOS 10, iOS 11. In addition see the iOSEmus features before downloading it to your device. Apple ID is not required. Very fast downloading apps are available. It is safe when you use it. Easy to fix the errors. 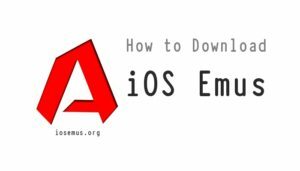 Here below we will show you the way to download iOSEmus on your iOS device with the simple steps explanations. Make sure your iOS device is connected to active Cellular or Wi-fi. Removing all the background apps are mandatory before starting the whole process even better if you delete all Safari BrowserData. Open Safari browser from your iOS device. Type www.iosemus.org into the browser address bar. Go to the navigation Menu then click on Download. You will get a new page, where from you have to choose any logo out of given two logos. It will ask you to Allow to go the iOSEMus Configuration Profile Settings page. Now tap on Install on the Configuration page. A new pop-up window will appear tap on Install. Go to your device Home screen, iOSEmus logo will be shown there. Tapping iOSEmus logo you can search all apps in it. If you have installed iOSEmus on your iOS device, you may find that it is not opening or you are not able to download any apps then follow the easy step to get it fixed. Go to Settings > General > Profile and Device Management, look for the iOSEmus profile and tap Trust on it. If still, it is not working then delete the app from your device and download and install it again following the above-mentioned methods. Comments below to let us know your iOSEmus experience, to know more like and follow us on our Facebook page. Love iOSEmus, it is Working. i can’t download it.when i tried to to click the link i need to download it and open to google drive,that’s what it says so i did but still can’t open it. Sorry not worked won’t connect to server can’t find certificate to change trust setting only showing as web clip? Why it does not work on Samsung?